I knew this week was going to be different with the big kids away at Grandpa Camp, preparations for my high school reunion, new writing/work opportunities--all stuff outside my comfort zone. But just like a good old fashioned after school special*, I'm learning it's good to get out of your zone. I learned to reach a little farther, take a different path; welcome discomfort (okay maybe not welcome it, meet it head on) and keep going. Along my new path I managed to have some pretty special moments I know that for sure (this week). *I used to be so annoyed when those after school specials were on because it interrupted my soap operas I rushed home from school to watch. I felt I was learning plenty from The Guiding Light and General Hospital thank you very much. We went bowling with the little boys, twice actually. 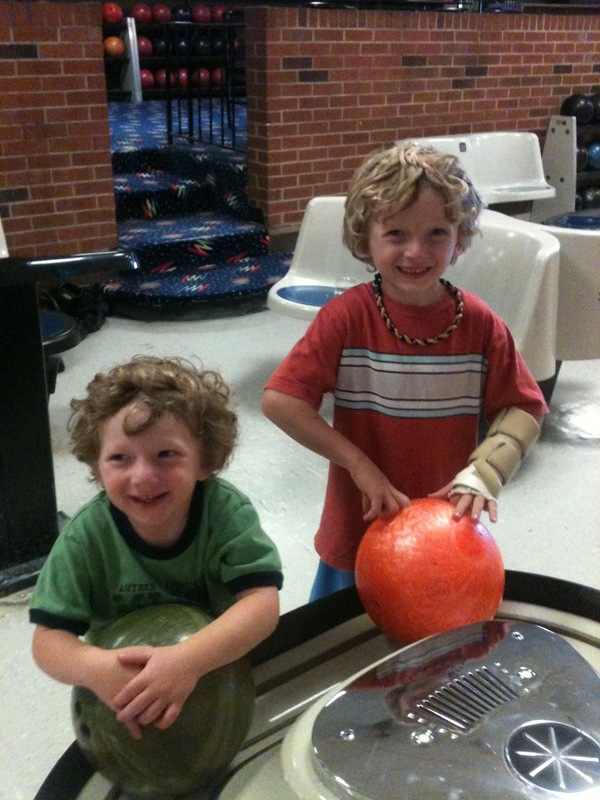 My boys in their super cool bowling shoes. I watched JT have a blast playing baseball, arm splint and all. Tim and I had lots of sweet moments with the little boys and made some memories. 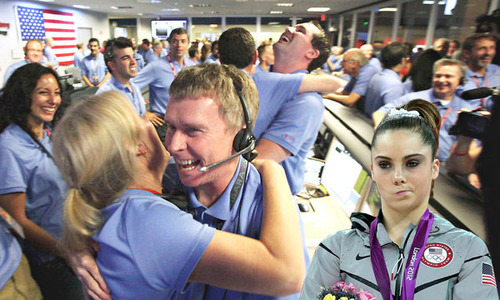 The "McKayla Is Not Impressed" Tumbler makes me laugh. Click here for more. This movie, This is 40, looks beyond relatable, oh boy. I'm laughing, I'm crying. It doesn't come out until Christmas. My reunion is tomorrow and I still haven't decided what I'm wearing. Click here to vote please! I promise I won't dance like this if you vote for this dress. Okay, sorry I take back that promise. I can't ever promise to not dance or "walk like an Egyptian." Inside me lives an old-school Susanna Hoffs wannabe. Join the Facebook fun- click here. Come play with me on Twitter (@AngelaYBlood)- click here. What do you know for sure (this week)? Share what you know! While you're at it, share your favorite song from 1992. Maybe I'll make a playlist for my quick road trip to Kalamazoo. that may be given a free LTE upgrade shortly). So you must taking action immediately!